Walker Buehler hasn't completed four innings yet this season, but that hasn't stopped him from dominating Class A Advanced batters. After striking out eight in 3 2/3 innings Monday for Rancho Cucamonga, his next outing will be in the Texas League. The Dodgers promoted their fifth-ranked prospect to Double-A Tulsa on Tuesday after he threw a career-high 65 pitches against Lake Elsinore and allowed one run on three hits and two walks, which was only the second time he's allowed a run in five starts. 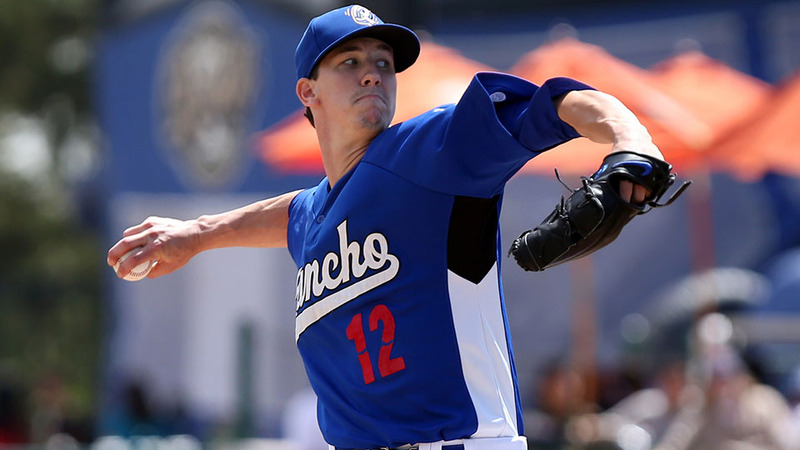 On the season, Buehler has allowed three runs -- two earned -- on eight hits and five walks while striking out 27 -- good enough for fifth in the California League -- over 16 1/3 innings. The organization's 2015 first-round pick -- taken 24th overall -- underwent Tommy John surgery that August after pitching through a partially torn UCL in 2014 at Vanderbilt. He returned to the mound on July 7, 2016, tossing two hitless innings for Class A Great Lakes, and the 22-year-old is happy to have gotten the surgery out of the way at this point in his career. "I've told people the mental side of having surgery like that is probably tougher on you than the physical stuff ... " Buehler told MiLB.com this spring. "It's one of those things a lot of people end up having to go through, and I'm kind of glad I got mine done early and in the past and now I'm ready to get going." The 6-foot-2, 175-pound righty is slowing building his stamina up, as the organization allowed him to pitch into the fourth inning in his past two starts after limiting him to three frames in each of his first three outings. He's allowed a run and walked two batters in both outings, and he'll look to continue increasing his pitch count with Drillers.